Wix and Weebly are very close contenders in the website builder market. In the top 1 million websites, Wix holds 0.34% of the share, and Weebly holds 0.31% of the share, according to Built With. Both companies offer a drag and drop type builder, making it really easy to build a website without any coding knowledge. Both website builders offer a free website builder option. There are limitations to the free plans, but it’s a good place to start! Wix and Weebly are very similar in terms of the features they offer. With a wide range of modern and professional templates, you could have your site up and running within minutes. Because Wix and Weebly are so closely matched, I wanted to compare them in depth. I hope this will allow you to decide for yourselves which website builder suits your needs. I’ll be looking at their ease of use, features, customer support, pricing, and pros and cons. Let’s take a look at Wix vs Weebly and get started! The price of a website builder may sway it’s users to buy (or not to buy). As previously mentioned, both Wix and Weebly offer a free plan. But, they both offer premium plans too. When deciding the winner of this category, I’ll be taking into account what’s on offer for the price. A lower price doesn’t always been it’s a better option, and vice versa. These Wix plans are included in their ‘website’ plans options. They also have business and eCommerce specific plans which I’ll touch on later. All premium plans include free web hosting, Google Analytics, a customised Favicon, and the ability to increase storage as/when you need it. What I love about Wix (apart from them being very affordable), is how easy it is to upgrade. If your needs are exceeding what’s on offer, there’s always more you can enjoy! At this point, it’s worth noting that Weebly plans also include the above eCommerce features. Similarly to Wix though, they have separate eCommerce plans that are more tailored to business needs. All of Weebly’s premium plans include SEO tools, and lead capture. You’ll also be able to access their community forums and contact support via email and chat. If you want phone support though, you’ll have to upgrade to the Pro or Business plan to unlock this feature. And the winner is… Wix! Although both website builders offer some very versatile pricing plans, Wix is the clear winner for me. Their prices are slightly more affordable than Weebly, and you get more for your money. There are more plans available, making Wix more accessible by a wider audience. They might not offer as much storage on their lower tier plans compared to Weebly, but the other features outweigh this limitation. When choosing a website builder, it’s important that you find one that’s easy to use. After all, website builders are meant to be easy to use! Both Wix and Weebly offer drag and drop functionality, making them very easy to pick up and learn. However, both website builders offer small differences and their approaches aren’t always the same. 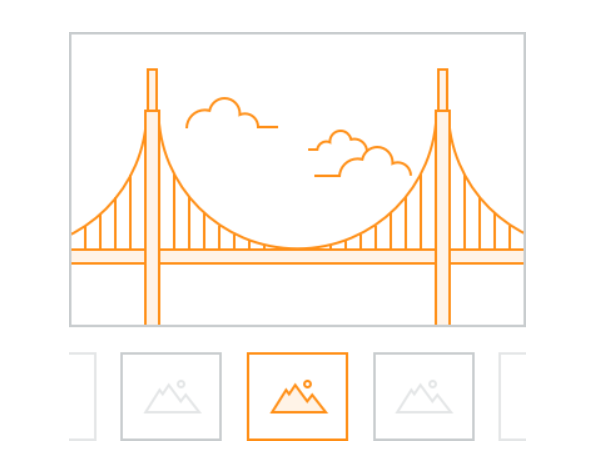 Wix’s drag and drop feature makes it easy to edit an existing template or design. It’s simple to drag site elements from one place to another. It’s also really easy to duplicate existing elements or content, as you may want to relocate them. Text boxes, images, videos, etc. are all easily moved onto any page of your website. Wix focuses on creativity, and the freedom to experiment. 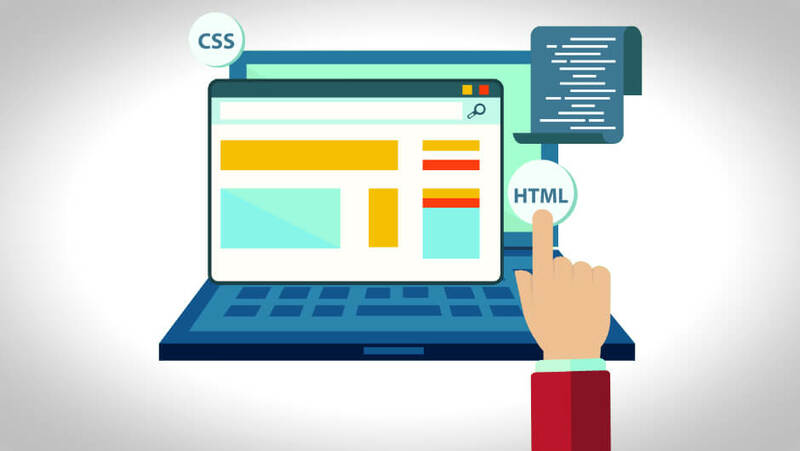 If you don’t know any code like HTML or CSS, you can create a professional website with the same capabilities as someone with coding knowledge. Literally over 100 million people use Wix, which shows you that it can be used by pretty much anyone! If you’re not keen on dealing with the design of your website, you can let Wix ADI handle it for you. Simply select some options and answer some questions to allow Wix ADI to create your perfect site. It will use it’s intelligence to not only create a template for you, but also the actual layout too. Similar to Wix, Weebly also offers a drag and drop tool with it’s website builder. However, in my opinion, it’s a little less flexible compared to Wix. Weebly’s templates are professional and offer great design, but are a little more rigid. Unfortunately it’s not possible to drag elements wherever you like, there’s a bit more structure meaning you’ll be more restrictive. On the flip side, if you prefer more structure and don’t want the creative freedom that Wix offers, Weebly could be a better option. You may even decide to use Weebly as a starting point to follow their guidelines, and move onto a more creative builder later down the line. Weebly is most definitely aimed at beginners; creating a website is very easy! One of the benefits that Weebly offers that some other website builders don’t is the ability to change your template after your website has gone live. Often when you start off, you’ll make decisions that you’ll later regret or want to change later down the line. There’s really no denying how easy Wix is to use. I’m not saying Weebly isn’t easy to use, because it is, but Wix just has the edge. The choice of drag and drop functionality as well as Wix ADI is a real head turner. From signing up to designing your website, everything is simple. If at any point you get stuck during your website creation journey, there’s helpful hints and a brilliant help center to make use of. What features are on offer can sometimes be the deciding point for website builder users. I mean, you’re paying money, so surely you’d want a good selection of features, plugins, and apps to give your website the edge. I’ve taken a look at what features are provided by Wix and Weebly to give you an idea of what might suit you. 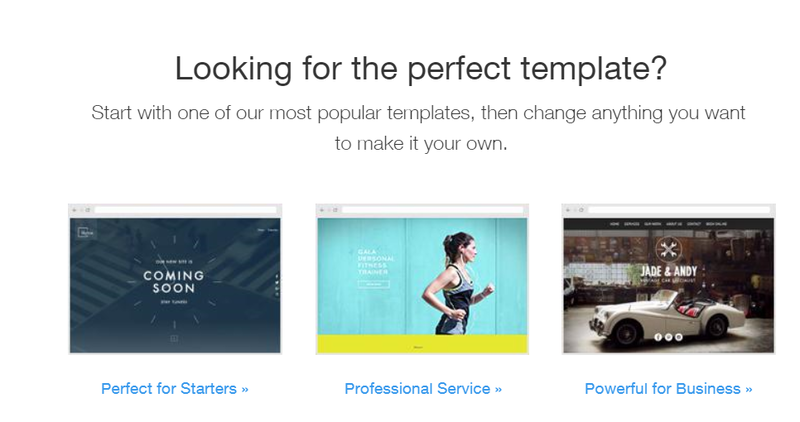 Templates – Wix offers over 500 templates to get you started on your website journey. I don’t think I’ve come across a template that isn’t spectacularly modern and professional. All of their templates are responsive, meaning your website will look great on any device. But, if you wanted to edit your template separately for mobile, this feature is available too. Fonts – This may be a strange feature to mention, but I love it! You can use any of the fonts that Wix provides on your website. You can also upload any of your own fonts too, so personalising your website has never been easier! SEO – Wix’s SEO tools are so easy to use. Even if you’re not entirely sure what SEO is or how to optimise it, Wix will walk you through the process. Updating meta tags and descriptions, enabling Google Analytics, etc. App Market – Wix’s app market has hundreds of apps you can use on your website. Apps are useful to enhance what you’ve already got, or install new features that the website builder doesn’t offer as standard. Advanced Code – If you do know a coding language, you can make use of this skill with Wix. Although Wix is great for beginners, it gives experts a chance to show their flare too. Mobile App – Not only can you create and edit your website on your desktop, you can on your mobile too. Weebly’s app allows you to access your website at any time. This is great if you notice an issues, want to add content, or are managing your business online. With almost everyone using mobile in 2019, accessibility anywhere is key. Templates – Weebly’s templates are professional, modern, and simply divine. All of them are responsive, so you don’t need to worry about being mobile ready. Weebly’s templates can be edited to your own needs, using their simple drag and drop builder. App Center – The app center allow third parties to offer apps that can be installed. These can be installed on your website, blog, or online store. Third party apps are a great way to tailor make your site to make it absolutely perfect. More often than not, these apps can actually help to drive traffic to your website – a bonus if you ask me! Blogs – Weebly’s blogging tool is very similar to their website builder. It uses drag and drop features, making it super easy to create a blog. There’s plenty of blog templates to choose from, and you can even ensure that your blog has SEO too. There’s no denying that both website builders offer plenty of features. Weebly presents some interesting features and tools to get your website started. However, I feel that Wix once again has the edge. Their features are that little bit more powerful, and lean more on the professional side. Both Wix and Weebly are undoubtedly impressive website builders. They compete well with each other, offering similar features to create the perfect website. They are both very affordable, and offer multiple pricing plans to ensure you can choose the right one for you. However, Wix on all accounts simply offers more! 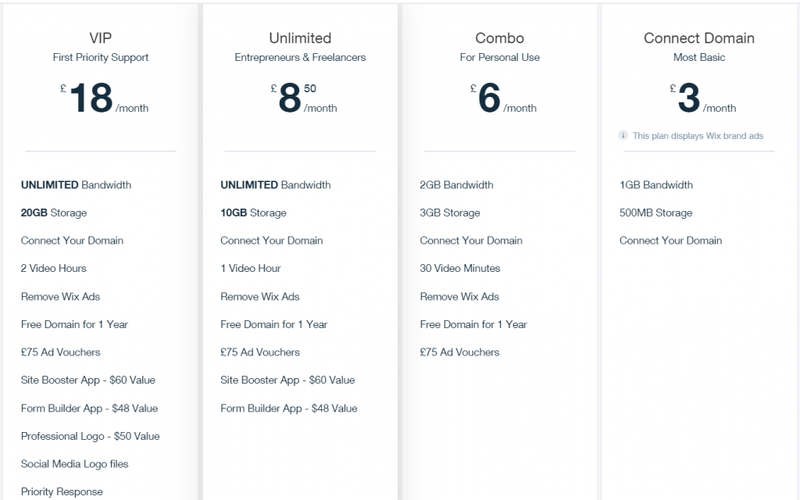 Wix’s pricing is versatile, meaning you can upgrade whenever and wherever. If you feel like you’re ready to move to the next level, Wix makes this really easy to do. They offer both a drag and drop builder and Wix ADI, at the same price as Weebly who offer a simple drag and drop builder. Wix’s features allow any user to create a professional website or online store. The best part, everything is included, meaning you can market your website as well as increase visitor traffic, and you don’t need to know anything about it! Creating a modern website won’t be simpler with any other website builder – Wix is my clear winner and they certainly deserve the recognition! Online shopping is quickly becoming one of the most popular online activities. Currently there are almost 800,000 websites using Shopify as their chosen eCommerce platform. 590,000 of those websites are based in the U.S.A., followed by the U.K. and Australia. There’s no denying that Shopify is one of the most popular eCommerce platforms when creating an online store. When it comes to creating and managing online stores, there are quite a few options available. Although I find it hard to outline many faults with Shopify, some users may prefer an alternative. Whether you’re looking for a cheaper option, different set of features, or are simply curious, I’ve reviewed 10 Shopify competitors (so you don’t have to)! There are 49,000 live sites currently on the internet using BigCommerce. This Shopify alternative offers many features, and a pricing plan to suit many users. Their essentials plan starts at $29.95 per month and boasts 0% transaction fees, unlimited products, a responsive website, blog, and up to $50k per year on sales. Store Templates – Of course, when it comes to online stores, you may be interested in the features they have to offer. BigCommerce has a wealth of features that you don’t have to pay extra for. Their eCommerce website templates are a great starting point (they’re all responsive). As well as looking modern and professional, you also have the option of choosing a template that’s fast. When I say fast, I mean fast in terms of loading speeds. BigCommerce have optimised templates to ensure that your online store loads within an acceptable time frame. This is perfect for your customers as well as your SEO if you want to generate more traffic and visitors to your site. Server Speed – It’s often easy to forget that when you use a eCommerce builder or website builder that they are your web host. BigCommerce guarantee a 99.99% uptime, as well as ensuring your site is PCI compliant. These little details allow you to focus on the content of your store, rather than having to worry about the back end. Site Migration – If you do decide to move your online store from another competitor to BigCommerce, it’s super easy. BigCommerce claim they have migrated over 20,000 stores to their platform. There’s an easy to use tool to make this happen, or you can contact BigCommerce’s expert team for help. SquareSpace not only provides eCommerce solutions, you can build websites for many professions. Whether you’re a budding artist, musician, or setting up a new shop, SquareSpace can provide the right tools. SquareSpace currently hosts over 1 million live sites, which gives an indication of it’s popularity. Product Catalog – SquareSpace doesn’t put any limits on the number of products you can sell. As well as items, you can sell services, making it very versatile. When you list your products or services, you can do so with different variations, SKUs, etc. SquareSpace makes it really easy to setup an online store, regardless of your size. If you own a small business or large scale corporation, you can display all your items in one place. Subscriptions – It’s becoming a lot more common for online stores to offer subscriptions. Products like food boxes, postal services, etc. all require a subscription. SquareSpace allow you to create monthly subscriptions, annual product deliveries, or seasonal and one-time subscriptions. Users will find it easy to setup recurring subscriptions via your online store, and may even entice more traffic to your site. Abandoned Checkout – The average abandoned checkout rate is almost 80%, which is a shockingly high figure. With SquareSpace, you can automatically setup rules so that your business will send out reminders to customers. When reminded, customers may revisit their cart on your online store and complete their purchase. This is a must have feature for any online business. If you have a WordPress site, you may want to consider WooCommerce. It’s an open-source eCommerce platform for WordPress customers (with over 61 million downloads). 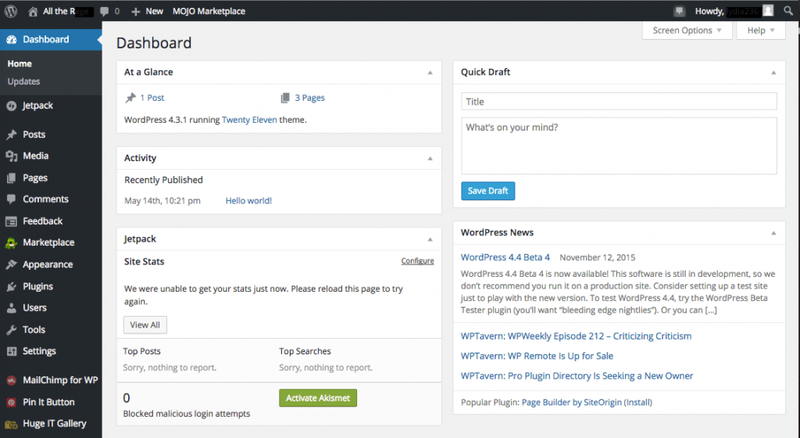 The plugin is free and easy to install to any WordPress account. WooCommerce, like other online stores, doesn’t charge card transaction fees, and offers multiple payment gateways. In addition to the fresh install of WooCommerce, there’s plenty of add-ons available to customise the plugin to your liking. Sell anything – You can pretty much sell anything using WooCommerce. Whether it’s digital or physical (or even both), it’s all possible to fill your online store with. If your business is affiliated with another site, you can provide affiliation links too, keeping everything in one place. When you put a product or item up for sale, you can offer an unlimited amount of variations, e.g. colours, sizes, etc. Shipping Options – WooCommerce gives you the ability to offer a multitude of shipping options for your online store. You can choose local pickup, delivery, or worldwide shipping. Or, if you only want to ship to certain locations, you can do this too. As well as location-based options, you can also set your own shipping rates. Whether you want a flat rate, variable depending on size, location, etc. WooCommerce can calculate your preferences and provide the output to your customers. Optimisation – It’s important once you have your online store up and running that you optimise it. WooCommerce tools ensure you’ll get the most out of your business (and so will your customers). You can add features like coupons to entice customers (and their friends) to purchase more. You can also make recommendations to customers as their shopping, taking them on an extended journey of your online store. LemonStand provides the usual eCommerce platform features. However, it also provides a large amount of flexibility, customisation, and automation to make your life easier. Their pricing plan makes choosing the best option for you really easy. All of their plans include their main features, with the difference being the amount of orders you can take. LemonStand also offer a free 14 day trial, so it’s worth giving it a go (even just for the trial). Flexibility – As I mentioned, LemonStand provide lots of flexibility. You can setup and sell your products exactly the way you want to. As well as adding products in the ‘standard’ way, you can add custom fields to ensure that regardless of your needs, your products will still sell. You can sell any number of products with unlimited variants, add group-based pricing, discounts, and more. Blogging – As with many websites now, you can add a blog to your online store. Customers like businesses who inject a little more personality into their websites, and this gives your the opportunity to reach out even further to them. LemonStand’s CMS allows you to create a professional designed website, online store, and blog. You’ll have full control over your content, posts, announcements, and even link products from your store to your blog. Management – When businesses create an online store, the last thing they’ll want to do is manage the back-end of their website. LemonStand ensure that they manage support, infrastructure, and maintenance. This means you can focus entirely on your business, without any additional stresses. 3dCart is a cloud based shopping cart, offering plenty of features for most businesses. Their plans all come with standard features including unlimited bandwidth, orders, 24/7 support, and more. eCommerce stores won’t incur any transaction fees and can be linked to existing blogs and social media stores like Facebook. Plans start from $14.25 per month, including unlimited products, which I think is pretty competitive in the market. Responsive Themes – 3dCart will provide you access to over 60 free themes. All of these are mobile ready, meaning you won’t have to worry about optimising your online store for smart device users. With so many internet users now accessing the world wide web via their smart phone, tablet, laptop, etc. it’s essential your site is optimised. If your eCommerce store isn’t mobile ready, you could be jeopardizing your user base, traffic, and SEO score. Sales Channels – Selling products solely from your online store is now a thing of the past. Customers want to interact in multiple ways, whether that’s through social media (Facebook Store), Amazon, Google, etc. If you don’t connect with other channels, you could be losing out on a lot of your market. 3dCart connects your online store with the likes of eBay, Facebook, Amazon and Shopzilla with ease. Secure Payments – eCommerce providers offer multiple payment gateways. 3dCart has over 100 payment options for you to choose from. It’s really easy to accept payments from your customers with a wide range of providers. Popular choices include PayPal, Visa Checkout, Google Pay, etc. The more payment methods available, the more customers you could potentially be gaining. All payment gateways are completely secure, too, so you’ll never need to worry about that. BigCartel is my recommended choice for beginners into the eCommerce market. They offer affordable pricing plans, and even provide a free plan if you want to sell a limited amount of products. They may not offer as many features as other eCommerce stores, but they provide the market with an alternative that many users could make use of. Custom Store – Many website builders and online stores allow you to customise aspects of the themes and templates available. BigCartel allows you to customise your store to exactly how you want it. If you want to use their editor to add products, move content, etc. then it’s really easy to do. But, if you’re feeling experimental, you can access the back-end code of each template and switch and change whatever you like. Analytical Tools – Once you’ve established a customer base, or even if you’re building one, it’s key to learn where they’re coming from, how they shop, etc. BigCartel’s analytical tools allow you to check stats on your products and run promotions based on data. You can setup marketing, edit your products, and change anything you like. Best of all, you can do all of this from your mobile device! Niche Market – Although this isn’t necessarily a feature, BigCartel really focus on getting small businesses up and running. Their pricing reflects this, making it easy and accessible for start-ups and individuals to start spreading their wings in the eCommerce market. With BigCartel you can sell anything you like; paintings, music, t-shirts, you name it. BigCartel are 100% independent which means their focus is really on you. WordPress may be the most popular website builder on the market, but there are other options to consider. In 2018, Wix held over 22% of the website builder market share. When it comes to designing a website, it’s important to choose the right tool for the job at hand! Depending on your needs, one website builder may trump another, so you should take your time to consider which is best. Both Wix and WordPress are incredible website builders (that’s why I’m mentioning them). However, each has their own pros and cons, different sets of features, and affordability. So you can decide which is the best website builder, I’ve put together a Wix Vs WordPress comparison to save you the hard work! Luckily, we now live in a world where it’s become very affordable to build a website. However, the cost of each website builder does differ, and could be a deciding factor for some users. The cost can often depend on your requirements, so I’ve done some research as to which website builder is more cost effective. There’s also a lack of features, so you wouldn’t be able to use Google Analytics, eCommerce tools, and Favicons. If you do want more advanced features, you’ll need to upgrade to one of their premium plans. Premium plans start from £3 per month and allow you to connect your own domain name. However, your website will still be limited, and will contain Wix advertisements. If you’re willing to bump up to £6 per month, adverts will get removed and more features will become available. In terms of value for money, I’d suggest the unlimited plan at £8.50 per month. You get a lot more for your buck, and will be able to create a professional looking website at an affordable cost. WordPress is actually free for anyone on the internet to use. I suppose you’re wondering why it’s free – well, I’ll tell you! If you want to use WordPress to create a website, you’ll need to purchase your own domain name and web hosting. Most web hosts will come with the 1-click installation software which means WordPress can be installed with the click of a button. There are plenty of WordPress web hosting packages to choose from. If you choose a web host like iPage, you can get web hosting for just £1.50 per month, and you can start to explore your WordPress options. Of course, the more money you’re willing to spend, the options start to open up. For example, you can pay more for a web host to manage your WordPress website, taking the pressure of you, allowing you to concentrate more on your business. WordPress does offer lots of free themes and templates to get you started. However, if you want something a little more professional, you can pay for a premium WordPress theme, as well as plugins, and more. These features allow you to customise your website to your liking, and there’s literally thousands to choose from. Both WordPress and Wix offer free options for customers. WordPress is entirely free, but you will need to pay for your own domain name and web hosting to get started. On the other hand, Wix is it’s own web host, but does come with limitations unless you’re willing to pay for a premium plan to unlock more features. Both has it’s pros and cons in the pricing category. However, when you weigh up the cost versus the features and flexibility, my money is on Wix. When it comes to website builders, most people won’t want to learn a new skill to get their website live. The beauty of website builders is that the majority of them don’t require you to know or learn any code to get started. Both Wix and WordPress come with their own features and tools. The main thing is, neither of them are difficult to get used to, even for beginners. Wix is a classic drag and drop website builder. It’s interface allows you to select any section of your website and edit it with the tools they offer. This is called a What You See Is What You Get (WYSIWYG) interface. You can literally drag and drop items on to your website from your device. Simply select an element and update it’s content, add images, videos, etc. This is a great choice for beginners as everything is obvious, and there’s even tooltips should you need them. WordPress doesn’t use a drag and drop facility, which is a little unfortunate. It uses something called a visual editor which lets you edit your website and theme in a similar WYSIWYG environment. You can customise all themes and templates and choose where you want each element to live. Personally, I’m not a massive fan of the WordPress interface. It’s difficult to use, especially for beginners, and isn’t obvious where things are. However, once you do get the hang of it, it’s extremely powerful and very flexible. The trouble is, getting to that point in the first place! I think the winner is pretty clear here. If you’re a beginner, Wix offers an easy to use interface, which is a pleasure to use. Even if you’re a more advanced user, Wix has plenty of features to keep you occupied and allow you to edit your website the way you like it. WordPress is a powerful tool, but in terms of usability, it takes to long to get the hang of. Support is important when considering a website builder. If you’re a beginner and think you may need assistance, support should be accessible. Even if you’ve designed a website before, resources, forums, FAQs, etc. could still be very useful. Support comes in many forms, including tutorials, live chat, and ticket systems. Wix has a dedicated and focused support area (namely their ‘Help Center’). Support categories are broken down into different sections, making it really easy to locate useful information. They provide a trending topics section which will display the most popular topics being talked about at the moment. Wix’s social media accounts are very active, making it easy to engage with them, and others. They have scheduled email and telephone support, as well as forums, video tutorials, and more. WordPress offers thousands (literally) of tutorials and articles. The problem is, because the community is so large, it can be difficult to determine what’s good, bad, and down right ugly! There’s almost too much information to trawl through. Admittedly, it’s great to have a community of actual users to talk to. People can report their own experiences and share their own stories on how to get things working, to fix things, etc. 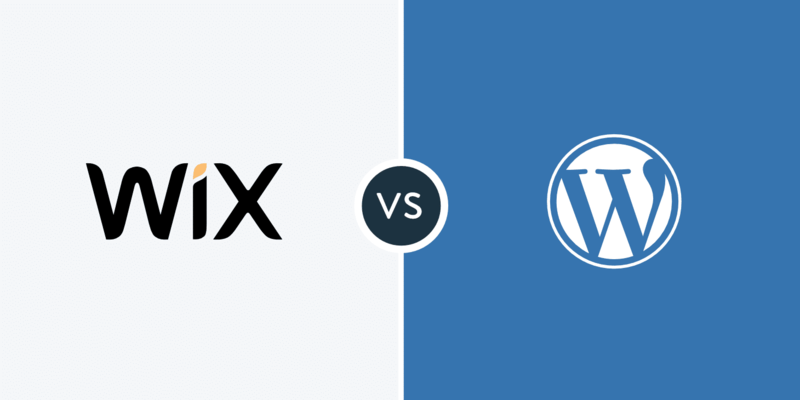 Although both Wix and WordPress offer a large support network, Wix is much more focused. Wix caters more towards the wider market, making their support center accessible to beginners and experts alike. Websites require maintenance to ensure that they continue to be safe and secure. Software updates will need to take place, and add-ons, plugins, etc. will need to be consistent so as not to cause conflicts. Sometimes you can pay for someone to maintain your website, saving you the hassle. I took a look at how Wix and WordPress deal with their updates and how this effects it’s users. There’s not an awful lot to say on this topic for Wix. All Wix updates are carried out automatically by their technical teams. Updates are deployed to your website and you don’t need to get involve at all. In honesty, you won’t even know an update has taken place unless you are monitoring their deployment schedule. Wix is incredibly easy to use, and this is displayed with their automatic updates. As you don’t need to be involved, you won’t need to worry about anything going wrong. Being open source, WordPress is constantly updating it’s security, platform, and offering issue fixes. When WordPress deploys an update, it’s users will need to manually update their WordPress website. However, this gets a little tricky when you’re using a custom theme/template, multiple plugins, etc. Some theme and plugin developers will update their products, ensuring that anything you have installed is automatically updated. However, this isn’t always the case, leaving your website potentially vulnerable. Unless you are constantly monitoring your website, you are open to malicious attacks. With WordPress, you are required to do your own website maintenance (unless you choose managed WordPress hosting). You’ll need to ensure your website is always updated, and any plugins you have are updated too, otherwise this could cause conflicts. Both Wix and WordPress are very capable and professional website builders. Depending on your needs, each one may be more suitable to your own requirements. WordPress is extremely powerful and offers a lot of customisation, if you’re willing to put in the work. Wix is very user friendly; it’s drag and drop functionality means you can build a professional looking website within a matter of hours. If you’re not looking to spend too much money, both are good options. However, Wix may be a better place to start as you can upgrade your plan over time, as your needs become greater. With WordPress, you’ll really need to choose the best web host from the outset, as migrating can sometimes be a bit of a pain longer down the line. Both Wix and WordPress offer some amazing tools to create your website. If you have the money to spend on a WordPress developer, you’ll probably get a better website overall. However, as many people won’t be able to fund such a thing, Wix offers some cracking features that any level of ability can get their hands on. Overall, Wix is the winner in my eyes. You don’t need to be a techy to get your website on the go. What’s more, once it’s live, there’s a wide range of tools to enhance it even more. You can deal with your SEO all in one place, generating more traffic to your website, and pushing it up the search engine ranks. Creating meta descriptions, meta tags, favicons, etc. is all really easy to do. Wix will take you through the whole process from start to finish, and if you want to understand it, you can read more into it. If you have any trouble figuring things out (which I doubt you will), there’s a wealth of knowledge in their Help Center. Their support team are available on-hand so you can speak to someone there and then. There’s also plenty of tutorials, FAQs, and help topics if you want to dive a little deeper. If you’re not convinced by this point, why don’t you take a look at the type of websites you can create with Wix. Personally, I wouldn’t have known these were created with a website builder. The features behind website builders are so powerful nowadays, it makes you wonder why you’d pay for a web designer! If you’re looking to create a new website for personal or business reasons but don’t want to splash out on a web developer, where do you start? Creating a website free of cost is entirely possible! The easiest and (in my opinion) best way to do this is to use a website builder. Using a site builder, you don’t require any form of training or IT background. It’s easy to gain full control of the entire web design and development process with the click of a button. Most site builders have free plans so that you won’t have to pay a penny to get started. What’s more, if you like what you’ve created, you can usually pay a small fee to upgrade and gain access to even more tools at your disposal! In 2019, using a website builder is about as easy as updating your Facebook status! You can save thousands of £££ by not hiring a professional to create your website for you. Why? Because you can do it yourself, and you can do just as good a job with the technology that’s available. Creating a free website really is quite simple! 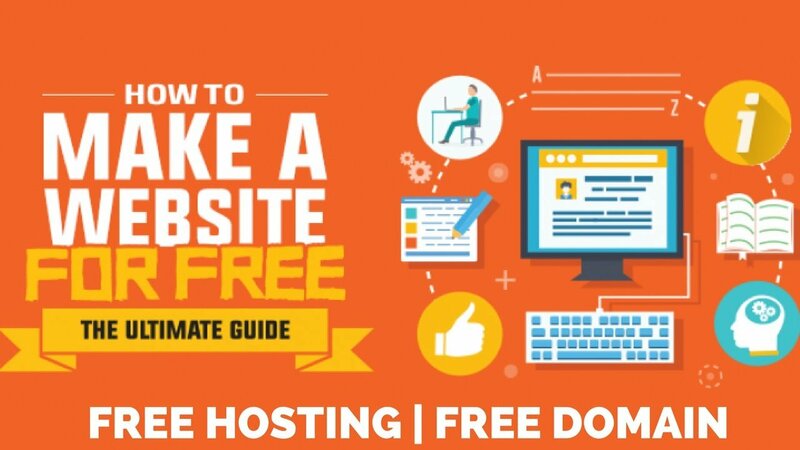 Following these quick and easy steps will ensure that you are able to create your perfect website, absolutely free of cost. Choose a website builder. There are lots of website builders to choose from. Simple drag and drop builders are at your disposal and have free services available (as well as paid). Purchase a domain name. You’ll need a domain name in order for the world to access your website. A domain name should represent what your website is about, whether it’s for personal or business use. Domain names should be memorable, and easy to type too! Most free website builders will allow you to connect your domain name to their services so that you don’t have a branded URL. Design your website. Website builders tend to come with preset templates and themes. You should take the time to research all the templates available to you so that you can pick one that you’re going to love. Remember, most website builders will allow you to customise their templates so you can create exactly what you want. Ease of use. Website builders are notoriously easy to use. That’s kind of what they’re designed for! However, some website builders are more advanced than others, which could be off putting for a beginner. Most website builders will give you an indication as to how user friendly they are from the sign up process. You should be guided through each stage, having access to answers should you need them. Templates. Choosing a template that suits your needs is very important. The range of templates available varies from website builder to website builder. It may be worth having a look at what’s accessible before you sign up. Customer support. If you’ve never used a website builder before, you may want to choose one that has excellent customer support. If you have any questions or queries, you’ll be able to get them answered by helpful advisers as opposed to being lost! Many website builders will have a live chat or telephone option, so you can always test their knowledge before signing up. Signing up to your chosen website builder should be a simple process. As previously mentioned, the signup process is often a reflection of how user friendly the website builder actually is. Let’s take Wix as an example of how simple it is to sign up to their freeplan and start building your website within minutes. Start by selecting your favourite template as a basis for your website. This should be something that represents the type of website you’re creating. For example, if you’re starting a blog, select a blog template. Or if you’re planning on a new business, choose a template that compliments your niche. If you already have an existing account, you can login once you’ve selected your template. Alternatively, you can sign up by entering your details, or login via Facebook or Google for quick access. You’ll be taken straight to your chosen template for you to edit and add your own content. There’s plenty of tools to get started and lots of helpful hints should you find yourself stuck at any point. It really is as simple as that – create a free website in a matter of minutes! Choosing and connecting your domain name to your free website is the next step in getting your site live. Domain names are important as this is what people will remember (or at least you would hope)! They should represent what your website is about, or what your business niche is aiming for. Some website builders offer free domain names but more often than not they will be branded. For example www.domain.mysite.com which doesn’t look very professional. But, it’s a start if you’re trying to keep costs down! Some web hosts will offer a free domain name when you sign up to their hosting plan, from as little as £0.99 per month. Website builders like Wix will offer users a domain name who sign up to their annual plan. Obviously this means that your website wouldn’t be free, but if you’re looking to upgrade in the future, it could be an option worth considering. If you choose a domain name when you sign up to a free website builder, you most likely won’t have to do any leg work to get your domain connected. Once you’ve created your website for free, you may want to consider some other factors. These factors are really dependent on what your website is going to be used for. Some users may not be interested in advertising their website or generating traffic, whereas others will want to focus on this heavily. SEO: Search Engine Optimisation (SEO) focuses on boosting your website’s ranking so that it appears nearer the top of search engines. The purpose of this is to make your website more accessible by a wider range of users, thus increasing it’s popularity. Businesses in particular will want to embrace local SEO to ensure that their business details are visible when users search for specific terms. Content: The content that appears on your website is as important (if not more) than your website’s design. Relevant and up-to-date content should be a priority, especially if people are citing or linking back to your website. Content, whether visual, video, or written, is king. Social Media: Social media connections to your website are incredibly useful. When you think there were 4 billion internet users in 2018, and 3.1 billion of those were social media users, you’d be silly to miss out! Social media can be a great marketing tool in generating more traffic to your website. It also has very close links to content, giving you access to technology like live streaming and live commenting for further user engagement. Creating a website for free is entirely possible in 2019. There are many avenues you can go down to achieve this, without spending lots of money on web developers and designers. Now you can gain control of what you create, and it can look just as professional as a professional doing it for you! Free website creation is not only free, it’s quick and simple. You can get a website live within the space of a few minutes. What’s more, there is so much choice available, meaning you can achieve pretty much anything you want to. If one website builder doesn’t quite cut the mustard, it’s almost guaranteed that another one will do. That’s the bonus of having such a competitive market! And remember, free doesn’t mean you have to sacrifice quality. Many people believe that getting something for free means that they won’t get the bonuses or benefits that paid users do. Now, in some cases, yes that’s true. However, it really depends on what you want to achieve with your website. It’s about weighing up the pros and cons of free versus paid website builders, and only you can make that decision. Carefully evaluate what each website builder can offer you and make a decision from there!